We did nothing, nothing, in Dauphin Island, Alabama. We wore ourselves out in New Orleans, and spent our days here relaxing, rejuvenating and catching up on things that we’d put off. 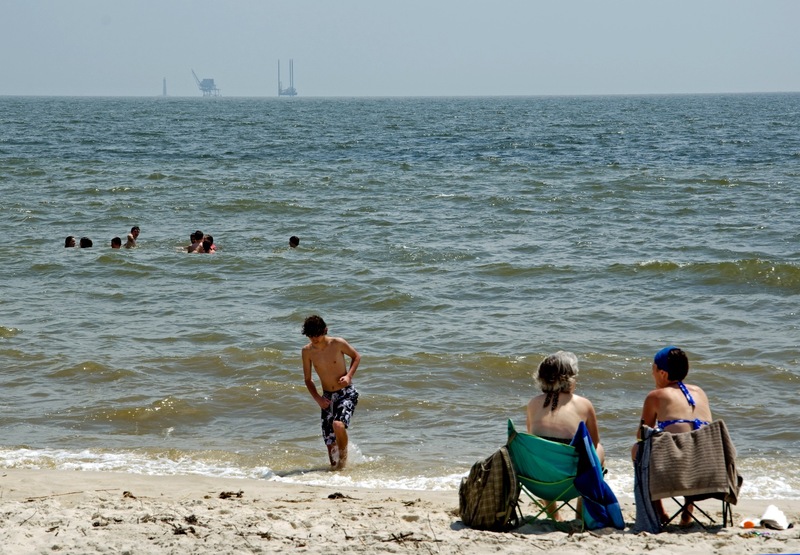 The beaches here aren’t especially pretty, and the Gulf Coast oil rigs can be seen wherever you turn, but we didn’t care. Sometimes you just need to recharge your batteries, and this was a good place to do just that. I just stumbled upon your comments while research Dauphin Island for our vacation this summer. Can you tell me more about the beaches? I’m been trying and trying to find someone with an objective take on the location, but of course I’m asking locals and vacation rental owners, so they are biased. Thank you for your help! We weren’t huge fans of Dauphin Island. Instead, I’d drive 2-3 hours east and stop anywhere from Pensacola to Panama City. That part of Florida has some the nicest beaches we’ve seen anywhere in the U.S. Enjoy.